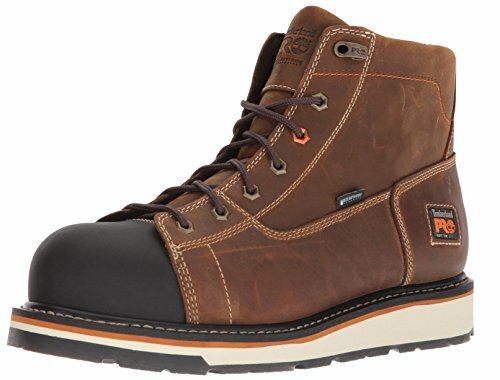 Timberland PRO Men's Gridworks Soft Toe Waterproof Industrial Boot, Brown, 10 W US by Timberland PRO at APT Boots. MPN: TB0A1KRM214-214-10 W US. Hurry! Limited time offer. Offer valid only while supplies last. Designed for optimal performance and comfort on the job, these rugged work boots offer the best in Timberland PRO craftsmanship and classic styling.